Arizona’s Maricopa County is home to several justice courts, including Agua Fria Justice Court. 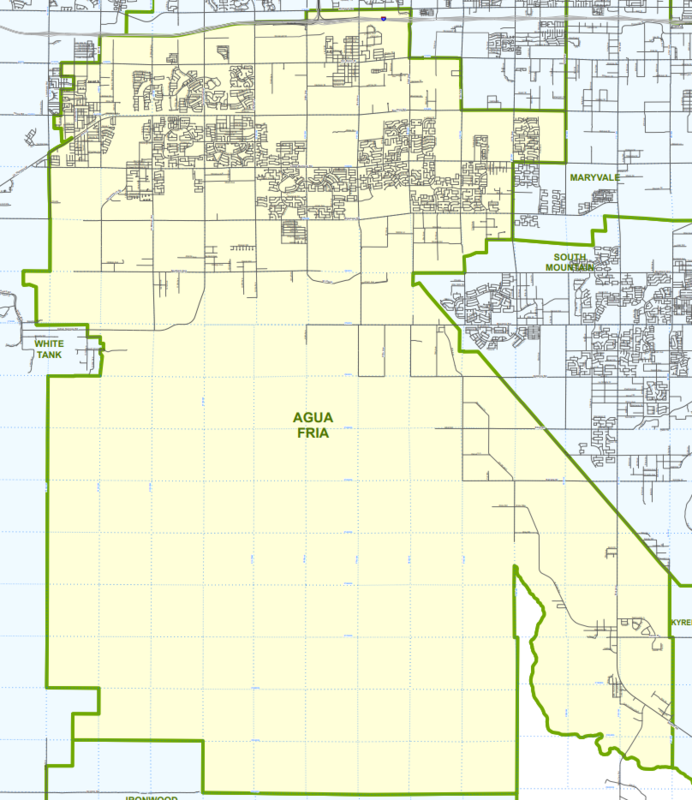 Agua Fria serves a large portion of Maricopa County, as seen on this map. Justice Courts such as Agua Fria, handle small claims. Small Claims Court reviews cases involving civil issues, small-time criminal issues, and traffic violations. A Justice of the Peace presides over these cases, and lawyers are often not involved in Justice Court cases at all. Because of Agua Fria’s large geographical footprint, many of the small claims cases that come through Maricopa County will be handled here. Proceedings handled in the Agua Fria Justice Court system include but are not limited to the following. The courts of Arizona, including Agua Fria Justice Court, are currently facing the implications of the state’s three-tiered justice system. In this tiered system, the justice system is divided into three factions where the court is concerned: small, medium, and large. The major implication that small courts, such as Agua Fria, is dealing with is a limitation of monetary resources and being allocated fewer resources in general. Smaller cases are seeing the greatest impact on these limitations because the less money that is involved in a case, the fewer resources will be provided. This limitation of resources even impacts the number of witnesses allowed on a case. In July 2018, laws will change that will impose further restrictions on the court. Imposing restrictions on resources can greatly affect cases even if they are considered to be small issues. Lower tiered cases will also suffer under the new rules. In fact, the small courts will only have a two day period to try cases. Small cases are getting less time all around, and when they are pushed through the system with such expediency, it will be impossible for officials to know the ins and outs of the cases they are trying. When smaller courts, like Agua Fria, that directly serve a large number of people do not have the monetary resources of other courts, all aspects of the court and the court’s resources suffer due to the funding deficiency. Residents of Maricopa County that have court proceedings going on through Agua Fria Justice Court and other Justice Courts throughout the county may encounter difficulties that make them feel as though they are not receiving the best court experience possible due to the upcoming cuts in resources. Small courts like Agua Fria will sometimes end up on the wrong end of justice given these cuts of valuable resources. If you want a better understanding of Agua Fria Justice Court and the other courts in Maricopa County, Chris Derose, the clerk of the superior court for Maricopa County, has a great website full of useful information that you can access here. You can find a map from Maricopa County here, and additional information on Agua Fria Justice Court from the Arizona Department of Public Safety.